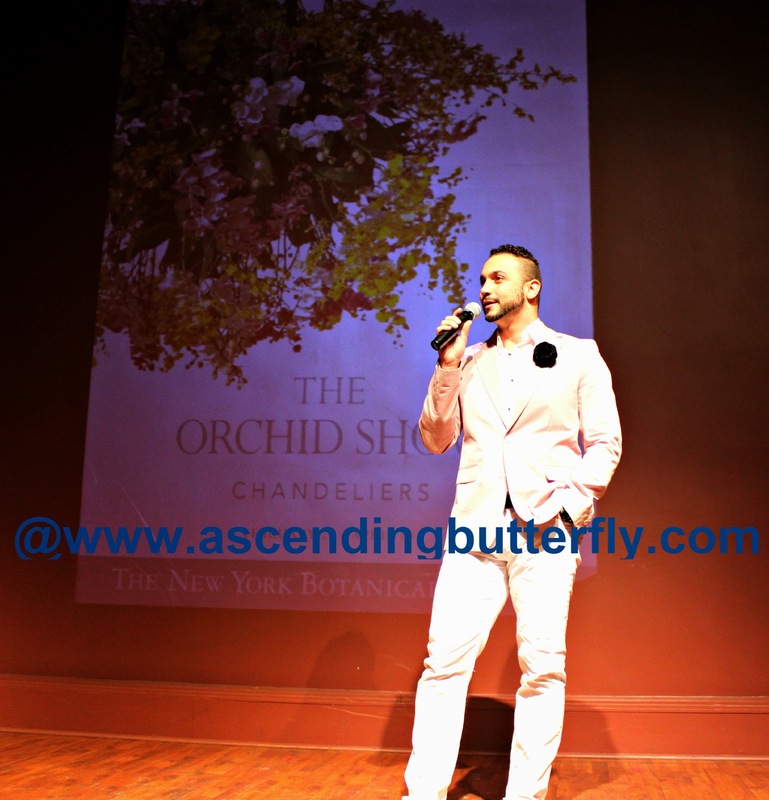 I hope you got a chance to check out The Orchid Show: Chandeliers at the New York Botanical Garden, I absolutely loved it, and in case you missed it, you can check out my coverage of it HERE (just note that the giveaway is already closed). In addition to being able to enjoy the Orchid Show this year, I also got the chance to enjoy a class in growing mini and macro Orchids (which I will share with you guys in a separate post) and a performance by BHdos, The Second Company of Ballet Hispanico. 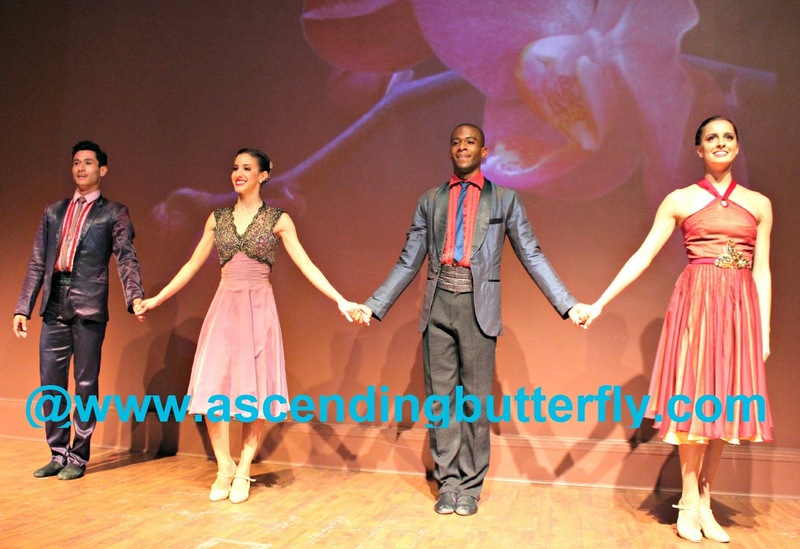 BHdos are pre-professional dancers of Ballet Hispanico's second company, they serve as a 'bridge' of sorts between the School of Dance and the Professional Company, as well as the community and their own training careers. 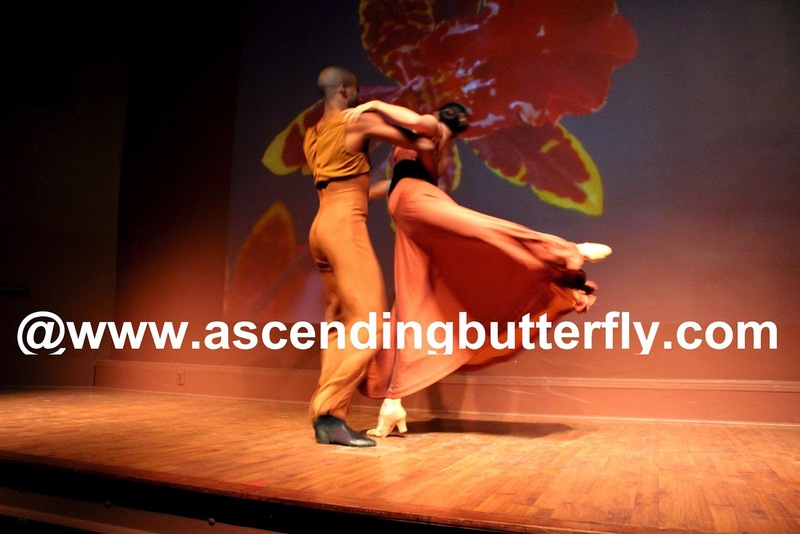 They work to bring Latino Culture to schools, communities and corporations through a 50 minute exploration of dance influenced by Spain and Latin America. The fully-costumed performances feature choreography from the current Ballet Hispanico repertory. 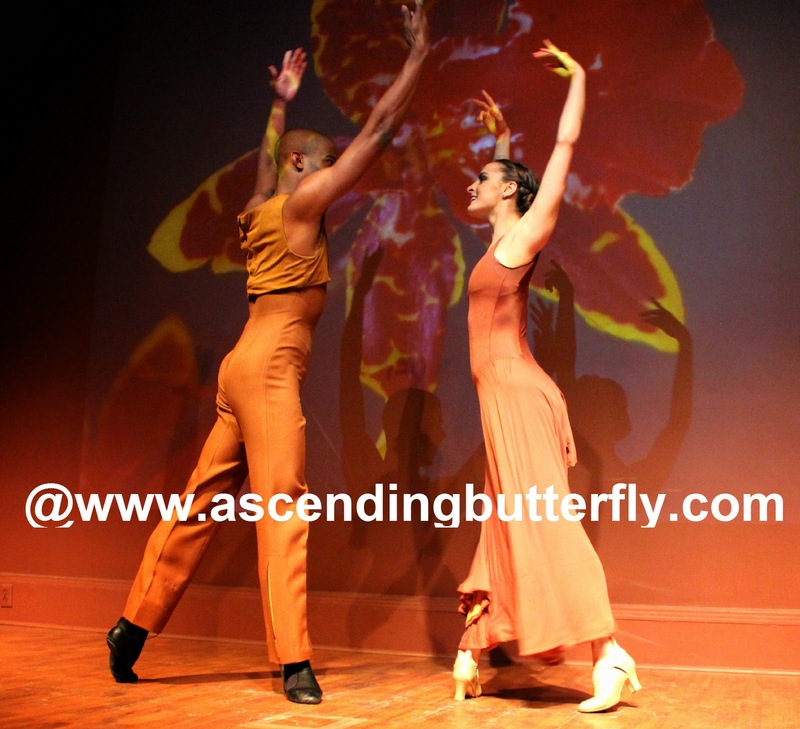 If you missed their performances in conjunction with the Orchid Show at New York Botanical Garden, you can still catch them at The Joyce Theater from April 14th-26th, so act FAST! 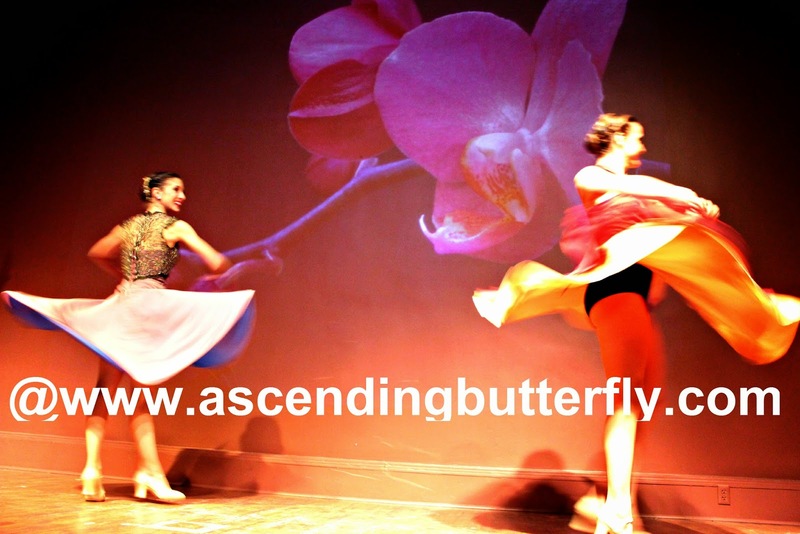 And for my readers who are parents, Ballet Hispanico's registration for their 'Los Explorers' Summer Dance (preschool) Camps for Ages 3-5 is open! Above: There is an amazing line up of upcoming activities at New York Botanical Garden, I will definitely be back again very soon! 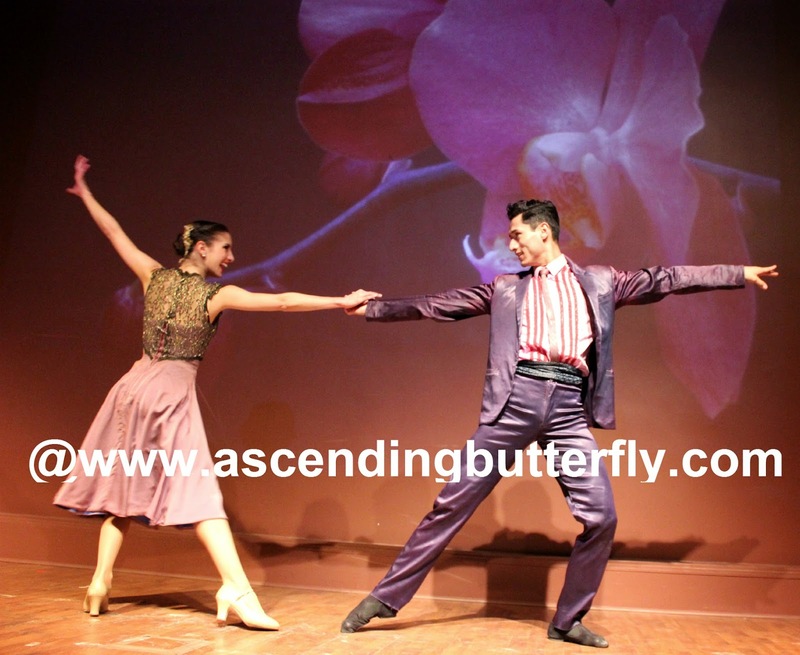 Above: Ballet Hispanico's, BHdos dancers in motion performing a Cha-Cha-Cha From Left to Right: Amanda Esposito and Christopher Wilson. 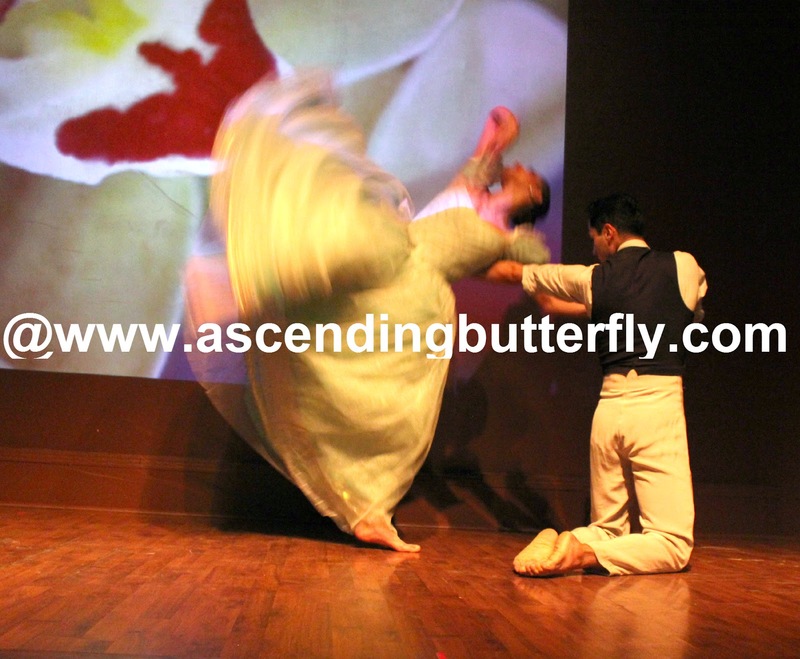 Above: Ballet Hispanico BHdos dancers in motion performing El Vals - Waltz Duet From Left to Right: Nicole Garcia, Nicolay Espitia. Fourth and Final Section of the Program: Club Havana - Mambo and Rhumba: Music by Israel Lopez, Ruben Gonzales, A.K. Salim, Perez Prado and Francisco Repilado. 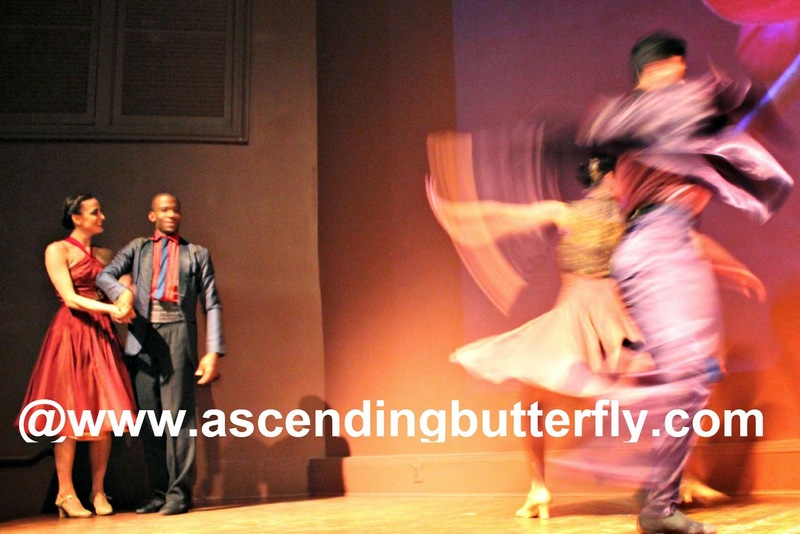 Above: Ballet Hispanico BHdos, Dancer, Nicolay Espitia, and his dance partner were bringing Mambo and Rhumba too life! Making us all feel like we were sitting in a Club in Havana! Above: Now that's a FACE OFF! 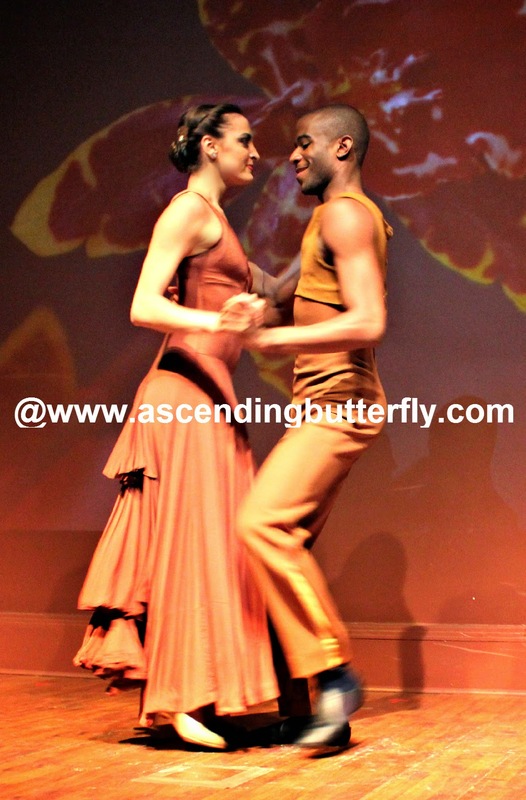 Ballet Hispanico BHdos, Dancer, Nicolay Espitia, and his dance partner were bringing Mambo and Rhumba to life! Making us all feel like we were sitting in a Club in Havana! 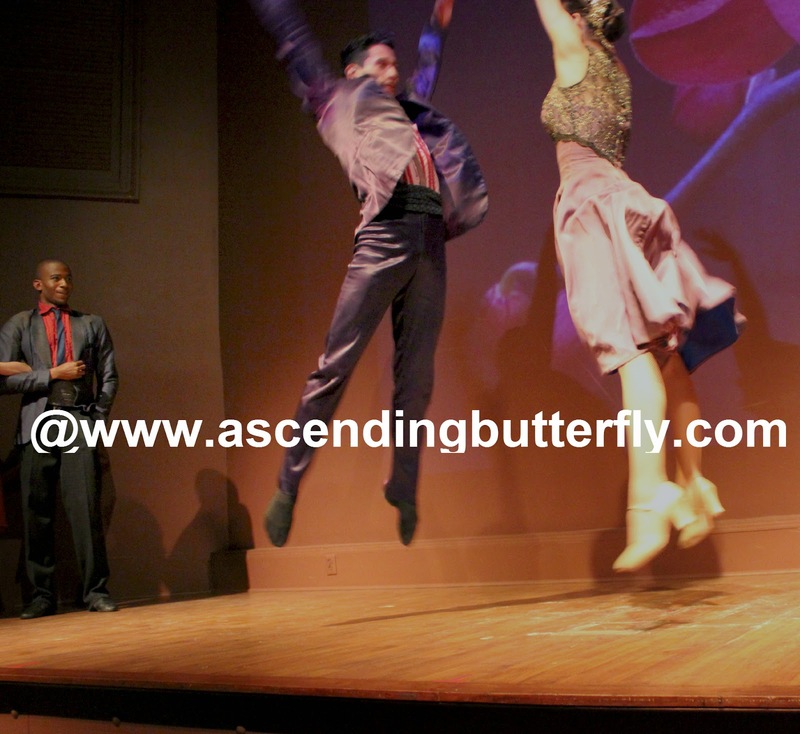 Above: Ballet Hispanico BHdos, Dancer, Nicolay Espitia, and his dance partner in mid air! 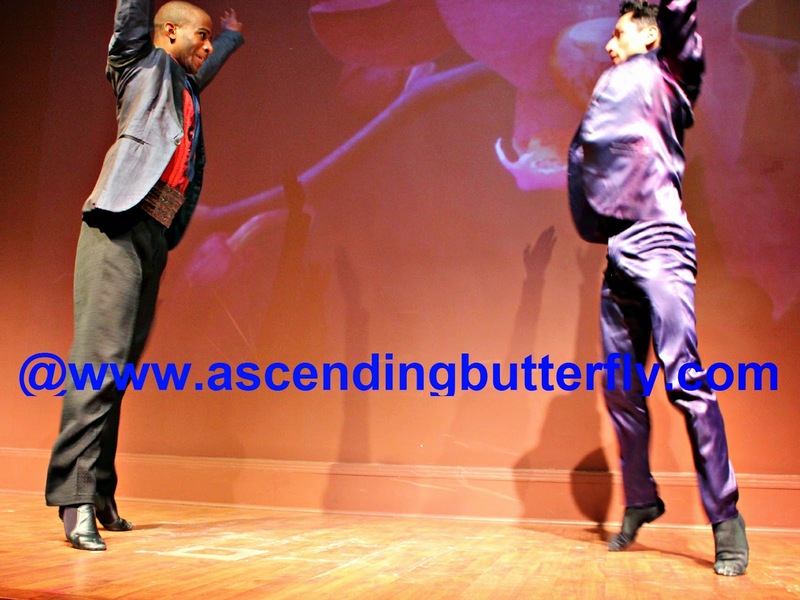 Above: Ballet Hispanico BHdos, Dancer, Left: Christopher Wilson and Right: Nicolay Espitia, in mid air! Above: Ballet Hispanico BHdos, Dancers. I loved how the camera was able to catch the movement of their skirts and how they blend in with the flower on the wall, they sort of look like dancing flowers! 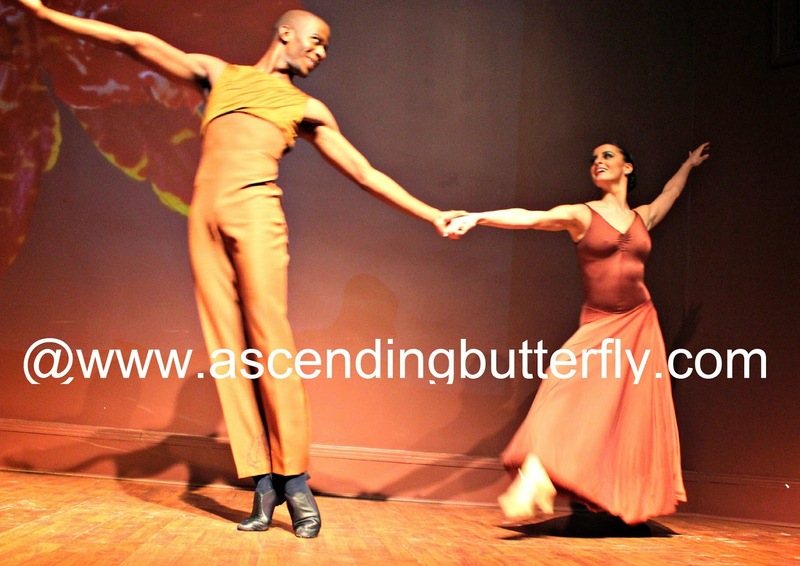 Above: Ballet Hispanico BHdos, Dancers. This time both teams are dancing simultaneously, not an easy feat as this is actually a pretty small stage! Above: Ballet Hispanico BHdos, Dancers take their final bow! Ballet Hispanico's BHdos put on such a lively performance, and the tribute to the musicians like Tito Puente in Program One entitled 'Tito on Timbales' was a touching tribute to those who know the musical legend 'El Rey Del Timbal' Sadly I think most people feel they have been exposed to 'ballroom' mostly because of the Television Series, 'Dancing With The Stars' but these dances have a very rich history, and so too does Ballet Hispanico, read about BH's founder Tina Ramirez. Did you wake up this morning with a 'case of the Mondays'? I thought instead of a typical 'Motivation Monday' to start your day, we begin with a 'Movement Monday'. Just MOVE right now. Get up off your seat, put down your coffee/cafecito and pull up a you tube video on one of the dance styles featured above and follow along with it. Or use your favorite zumba video, or just pop your favorite Salsa song on and get to dancing! 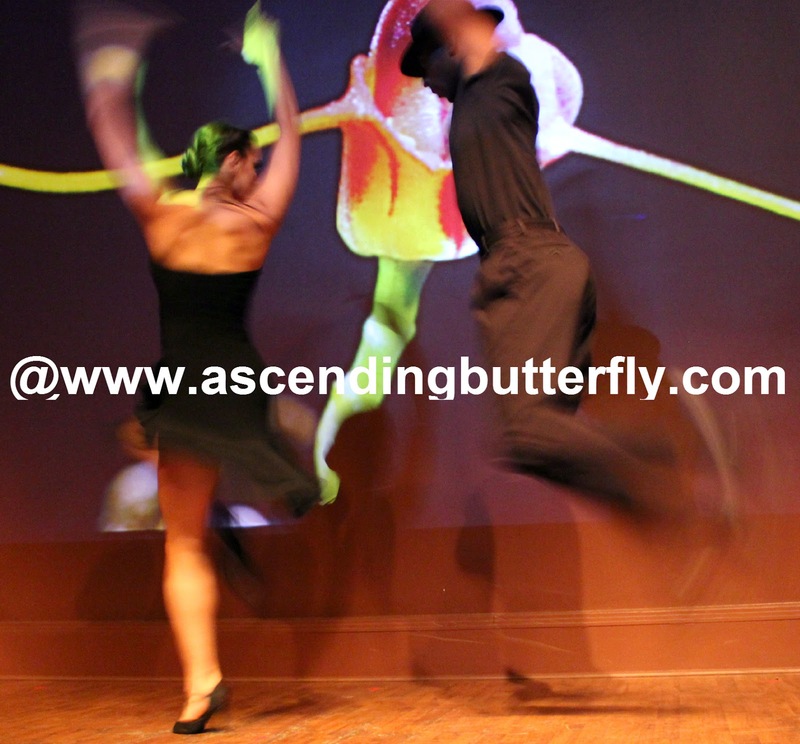 Move your way into a much happier Monday Butterflies! 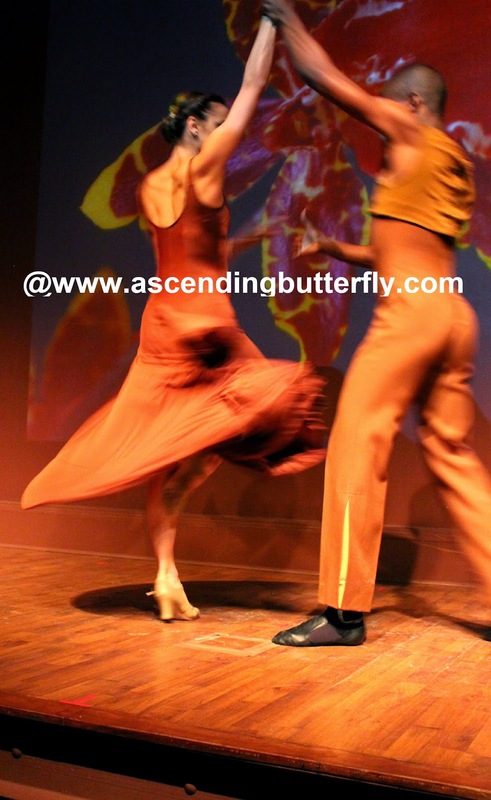 How are you going to MOVE today on #MovementMonday, it's not just a Monday around here today butterflies, it's a movement, so start flapping those beautiful wings of yours! FTC Disclosure: This is NOT a sponsored post, no monetary compensation has been received to post our recap of the show, and all opinions are 100% my own! We were provided access to show for editorial consideration. I am disclosing this in accordance with the Federal Trade Commission 16 CFR, Part 255 - Guides Concerning the use of endorsements and testimonials in advertising, you may check our Giveaway and Disclosure Page for additional information regarding Ascending Butterfly Disclosure. This sounds like a wonderful performance, Tracy! Thank you for sharing it with us. I love Latin music and used to be quite active in my local salsa scene. This looks like something I would have enjoyed. For movement today, I am doing my Beachbody workout (I am a coach :-) And later, going to the gym to meet with my trainer. Happy Monday. Happy I found your blog. I don't watch DWTS, but I do love ballroom. Before we had kids, the hubs and I tried some lessons, and I'd love to do it again! This sounds like a fun company & performance! I love watching professional dancers. So beautiful and graceful. @Mandee - Ballet Hispanico is a very well known and highly regarded company, I love that BHdos is bringing the performances straight to the community! That is SO COOL! It's always so awesome to see different cultural activities. Especially dance. @Ben - It is great that the company is bringing the performances directly into the community, nothing more fun than cultural events in my book! Great concept. Would love to see them live! @Maria - You should definitely check them out! This reminds me of Dancing with the Stars! I would love to see this event in person!! These pics bring me back to my high school dance days. How neat to see in person! @Christie - What type of dance did you practice? Those dancers look amazing! I would love to learn how to move like that! OMG I was able to go see this Performance what fun. the dancers were so full of energy I think the pictures you posted really showed all the movement and artistry of the dancers !! I must say I do love to go to the garden it's so lovely. Plus th do have great classes ! I can't wait to see your recount of the class you took ! @Big - I am happy to hear you were able to catch BHdos at New York Botanical Garden, I will definitely share what I learned about growing mini and macro orchids soon! Wow, looks like a great show! I love the outfits the dancers wear. 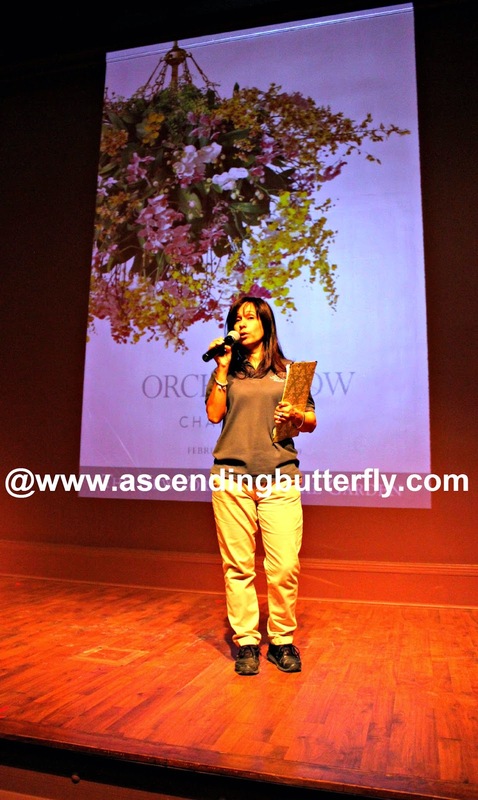 @Pam - I loved how at times their skirts blended into the Orchid art, it was like watching art come to life! This looks like it is a really great show. I don't really dance, but I did get outside today and move around. This sounds fun! I'm not really into watching dancing but I do love dancing! I guess I would love to watch to see the outfits, those are a fave! That's a show I would completely love! I like the variety of music and dance it showcases. I grew up dancing so I really love and appreciate watching any type of dance performance. This show looks fabulous! @Marcie - What is your favorite Dance Style? The show looks fabulous, but the only movement I do on Monday is getting the house top to bottom clean. I do dance classes on Tuesday and Thursday when my brain seems to get used to the idea it's no longer the weekend lol. I'm not sure I could get my husband to go with me, but I would love to see this in person. I'm a horrible dancer, so watching these talented performers is even more mind-blowing. @Melanie - It was fun watching the men dance during the 'interactive' section of the show where they had the audience learn some Salsa dance moves! Oh wow looks and sounds like a really great event! I love the dancing -- I'd love to attend a show like this! @Melisa - It was fun, definitely worth checking out whenever you are in the city! I love this. Looks so cool. Very talented performers. @Deb - They were great! Love love love. 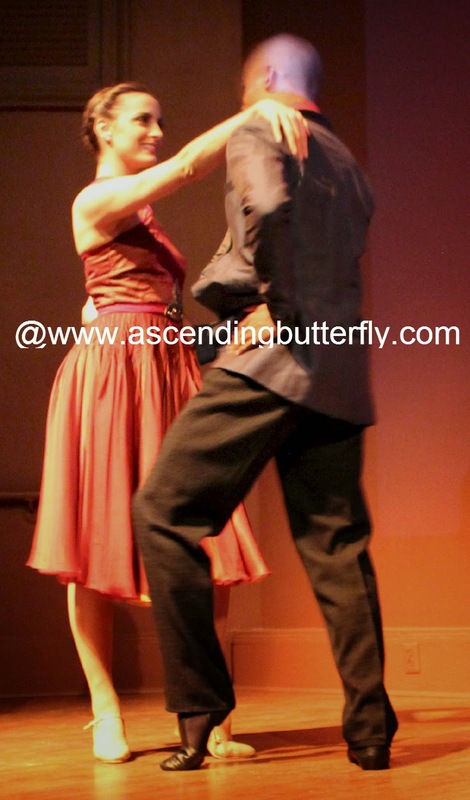 I have always enjoyed watching dance and have asked my husband a few times if we could take a class for fun. This looks like a fun event to attend. I love getting to see people dance. 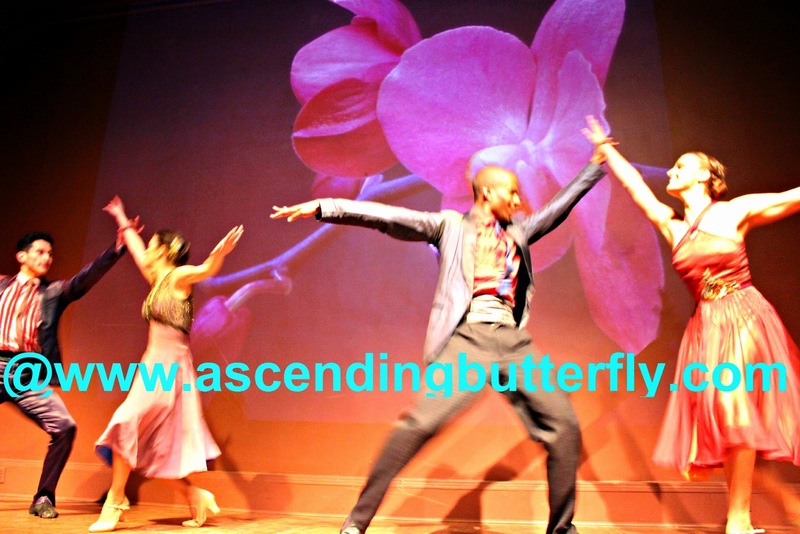 @CISTNC - I love watching dance and dancing, there is just something so expressive and beautiful about dance! This looks so amazing. I love watching dance. this would be a fantastic night out. @Ann - Anytime spent at the Garden is always fun, but it's definitely a great date night destination, and with the addition of dance all the better! Wow, looks like an amazing show! I love the costumes the dancers wear. GORGEOUS! @Demetra - Their costumes definitely made them appear as extension of the orchids on the screen behind them which was a neat effect! The Orchid Show: Chandeliers at the New York Botanical Garden looks like a show I would love to see. I wish I could visit NYC more - to see all of the great shows. What a great show, I really like the variety of dances. I was a dancer growing up, until my knee decided otherwise. I love going to dance shows to watch others perform. @Jocelyn - Sorry to hear that! What style of dance did you study? That looks like a beautiful show! The dancers look beautiful. Wow! Looks like a great event! I'm sure you had a blast! This looks like a beautiful show! I know I sure love to dance around the house! I moved myself in a Zumba class today! I love all of these dances, how cool to see them all.